Thursday night was the first big storm of the season - we've had some good Idaho snowfalls already, but none of them really "big." 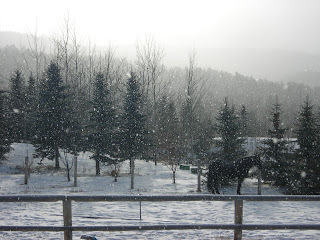 This time, the flakes came down large, fluffy, and purposeful. There's something about waking up to nearly a foot of fresh, peaceful, fun-beckoning white stuff framed by clear blue sky, particularly on the Friday before Christmas...until it sinks in that you have to shovel. 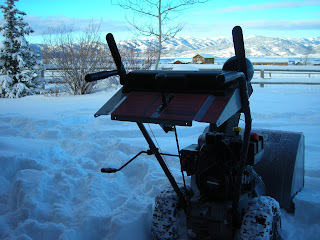 So, out came the snow blower. Driggs was bustling all week, and especially Friday. 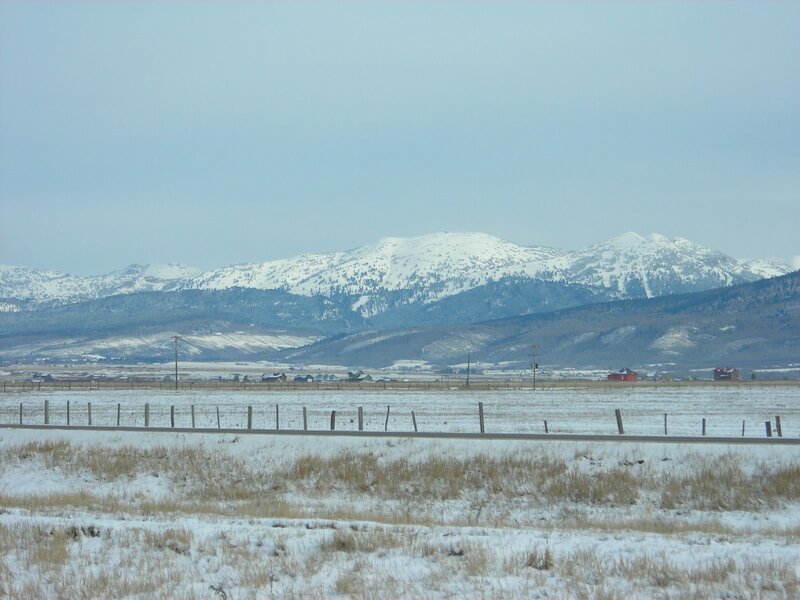 Tourists are arriving for the holidays, powder hounds are pouncing on the choice conditions up at Grand Targhee, and snowmobilers are heading to the hills in every direction. Broulim's (our grocery store) was as busy as I've ever seen it, and downtown merchants were happily accommodating last-minute Christmas needs. I made an enjoyable stop into Darkhorse Books, where Jeanne was helpful as always. Walking back to my vehicle, I realized how much small town life has grown on me these past thirteen years, and smiled. 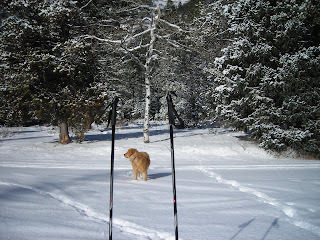 To celebrate the fresh snow and Winter Solstice, Joanne, Bridger and I headed out for a Saturday afternoon ski tour. It was cold, but the snow was as fine as I've experienced. 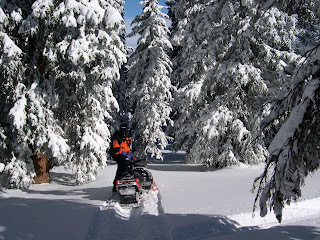 The canyon was a perfect mix of a soft-packed snowmobile track and untouched powder, and the fun quickly enveloped us. Wrapping up the Christmas season in a mail order business has had me hunkered down, working a ridiculous amount lately. It did me a world of good to get out and play, and realize that a computer screen is not permanently attached to my brain. 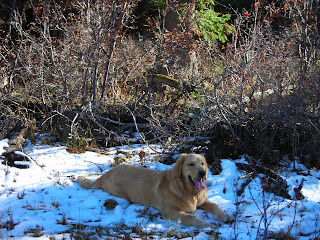 The pines, the creek, the snow, the sun...it was the perfect antidote. We've had some beautiful sunsets lately. 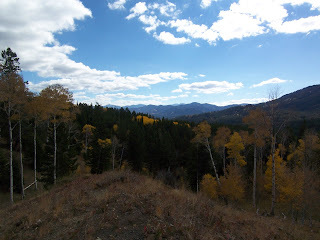 Less than a month ago, I was sounding the "where's winter in Driggs" alarm. Now, after only three weeks of Idaho snow and cold, warmth seems like a nebulous concept that must be years away. Funny how short-term our memories can be. So, we've settled (er, frozen) into winter mode. 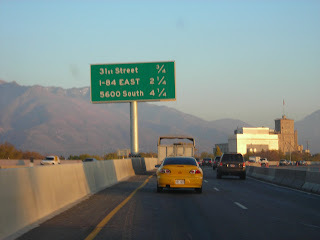 Everything just sort of slows down: driving, dressing, eating, thinking, moving...everything is more deliberate. But that's part of the allure of winter, really. It provides the occasion we need to catch up with ourselves. 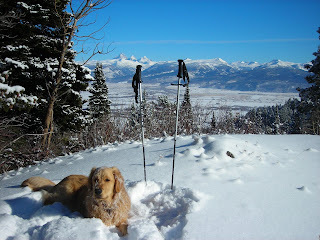 Thirteen winters in Teton Valley have taught me to pounce on opportunities for fun during the short days of December. 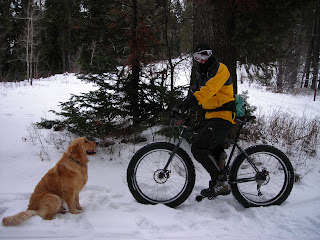 Accordingly, I squeezed in an afternoon snow bike ride with my extreme buddy Dave B and his tireless dog Kenai. 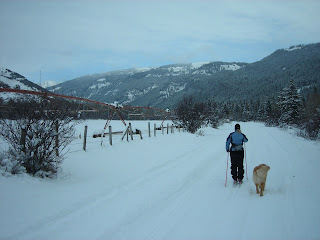 We had moments of sun, snow squalls, great scenery and enough effort to get the endorphins going. Not bad. 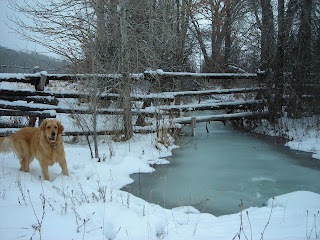 A couple weeks of consistently below-zero nights have brought ice to the local creeks and streams. 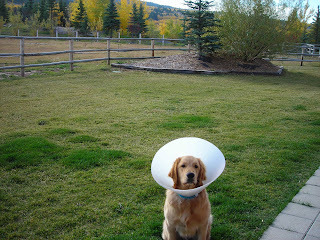 Bridger is still figuring out where it's safe to walk, so we keep an eye on him. It's a nearly full-time job. As the holidays approach, I often find myself remembering the winters I spent in Denmark, over 20 years ago. The weather was relentlessly cold, windy and bleak - a lot like Driggs can be, but in Copenhagen there were no mountains in sight. Admirably, the Danish people made December the warmest, most enjoyable time of year through rich Christmas traditions, fun gatherings and the Scandinavian concept of "hyggelig." 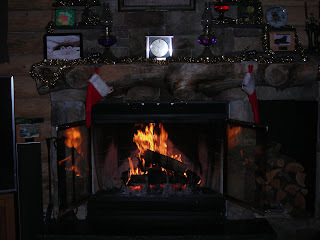 The closest English translation is "cozy," conveyed pretty well through this photo of a crackling fire and stockings. Hygge dig, og glaedelig Jul! 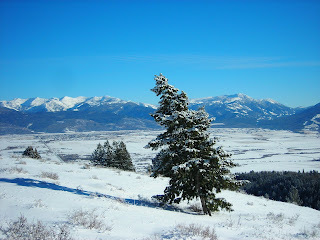 Winters in Driggs are usually so impossibly long, I never thought I'd exclaim "yes, it's finally winter!" But here I am, saying it. 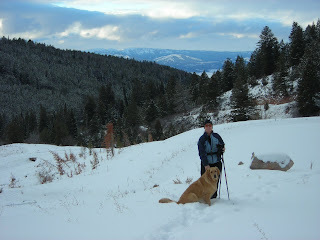 We desperately need snow this winter to fill up the region's reservoirs next summer, and we also need it for fun. 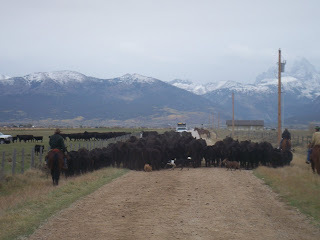 Our local economy is closely tied to farming and recreation, and both require snow...the more, the better. 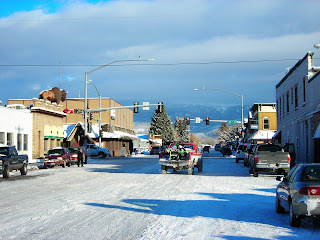 Grand Targhee ski resort has been open for over a week now, and their base is getting respectable. They've received 18" over the past three days, and are reporting 61" at mid-mountain; not bad at all. It might finally be safe to show off your trophy skis and boards. A couple of hours away, Togwotee Lodge has received a total snowfall of 51" so far this season, and they're reporting about three feet in most of the snowmobiling spots. I'd still be a little wary of off-trail rocks and stumps, but the trails are sweet and they're off to a nice start overall. 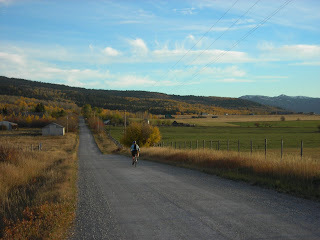 I have a couple of good friends from Minnesota riding up there today, and they called in to say "it's beautiful." Yeah, rub it in. Some of us have to work (did I just say that?). Speaking of which, my work at R.U. 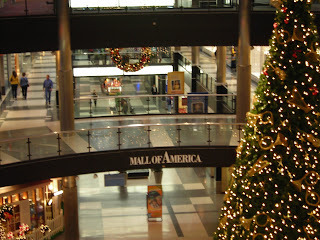 Outside is crazy right now, with the Christmas shopping rush in full swing. While we depend on this month of madness, I forget how chaotic it is each year. The best approach is just to put on your Santa Claus hat, do your best to make everyone happy, and sneak in an hour or two of fun now and then. 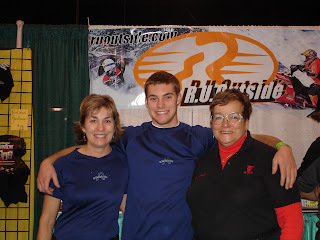 So, I took Bridger out skiing at lunch the other day. 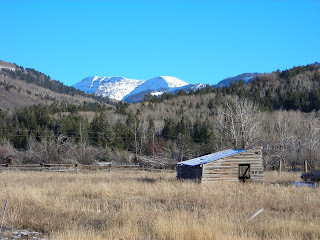 The fresh air, scenery and snow were great. That sense of weightlessness you get while playing in the powder (skiing, snowmobiling, snow biking, snowshoeing, anything) is magical, and it was good to get reacquainted with the sensation. I was tired way before Bridger was. Thanksgiving weekend seemed to arrive suddenly this year. 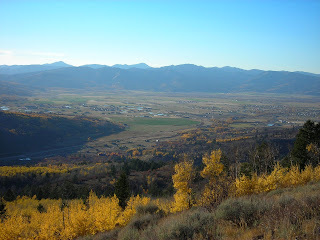 Maybe it was the long Indian Summer we've enjoyed in Teton Valley, or the lack of early snow (not good...we need white stuff, now!). At least it finally got cold: Wednesday night's low was near zero, which kicked in the appetites just in time for turkey. 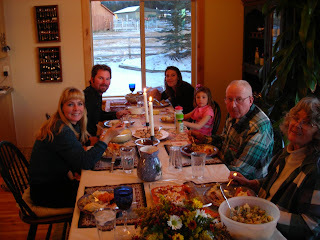 Joanne's family spent the weekend with us, and it was nice having a houseful of relatives for the holiday. 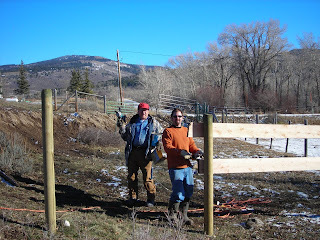 While her mom began preparing the feast, the rest of us took advantage of a bluebird day and built fence down at the pasture. If you know my in-laws, you know they never let an opportunity for a good work project pass them by. They'll labor dawn to dusk; 'til the cows go home, and the horses lie down, and the dogs fall asleep, and the water trough freezes over. Why just sit on the couch and watch football? The upside is, they get a lot done, they can build anything, and time with them is never boring. I recognize those upsides more the older I get. If you know me, you know I've gotta have my play time. Give me an hour or three to get the blood flowing, and I'm a totally new (much more agreeable) person. 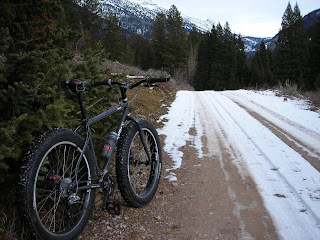 Sunday was the perfect opportunity for my inaugural snow bike ride, up nearby Darby Canyon. 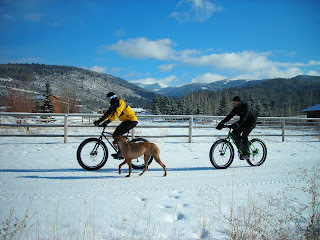 In this context, "snow biking" is essentially winter mountain biking, done mainly on packed snow with a completely unique bike. 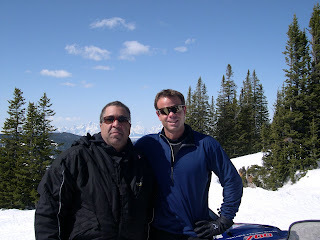 The ideal surfaces are groomed snowmobile trails, which brings together a couple of my favorite sports. 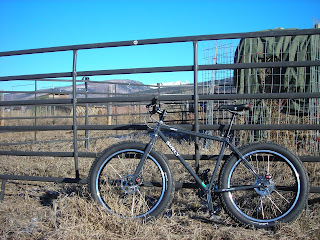 My buddy Dave B. hooked us on it last winter; next thing I knew Joanne and I were buying our own Surly Pugsleys. Riding this bike is like pedaling a monster truck. Truly. You find yourself constantly emitting sounds like "arrrrg" and "vrooom," and it makes you feel like a little kid out exploring. The tires are nearly 4" wide (about twice the size of a normal mountain bike tire), and run at very low air pressure to enhance traction. The performance is phenomenal, and it beats the heck out of indoor exercise. 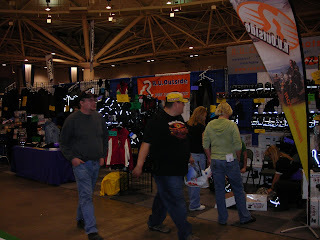 Everyone I passed on Sunday's ride wanted to stop me and talk about the bike. 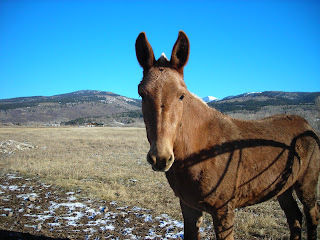 Meanwhile, back at the pasture, Elaine the Mule gives her best "Happy Thanksgiving" pose. 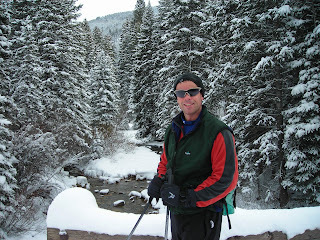 My first visit to Grand Targhee ski resort was in November 1994. 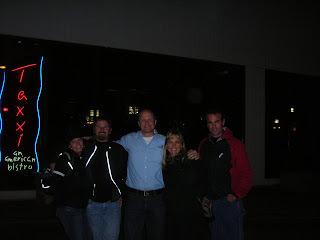 Wild Man Rob, Dave, Alli, Joanne and I all piled into the Trooper and drove up from Salt Lake. 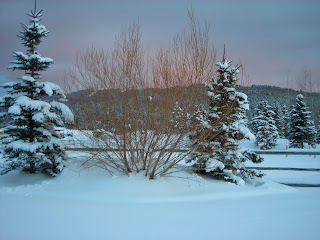 It was a week before Thanksgiving, temperatures were shockingly cold and the snow was DEEP. We're talking several feet of powder. Face-shots in November are a beautiful thing, and we were hooked. 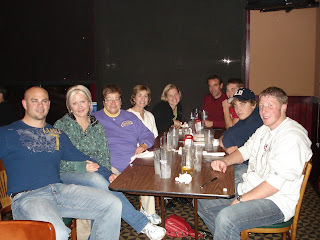 A few months later we all moved to Driggs. It's a little different this year. 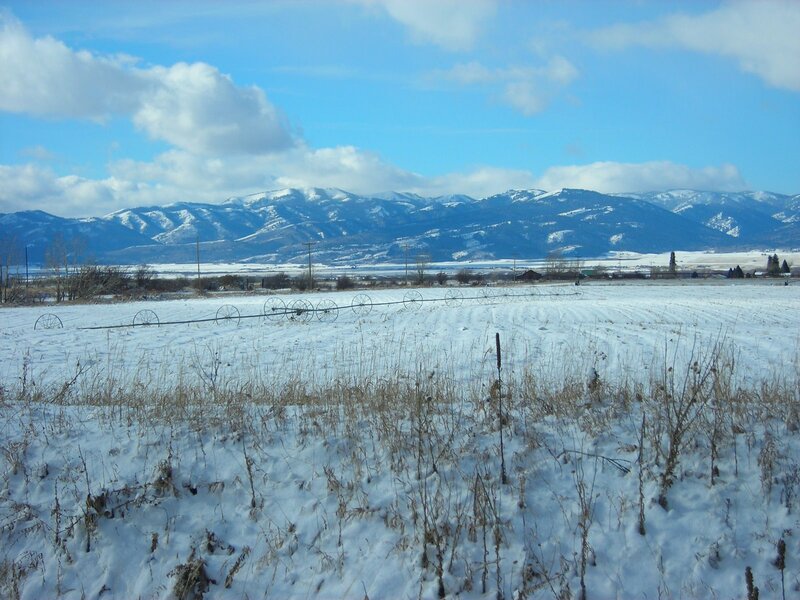 Thanksgiving weekend is approaching, and the snowpack is thin to non-existent. We had more winter weather in September than we've had in November. Targhee still plans to open for the long weekend, but you'd better take your rock boards (it's the rounded mountain at left in this photo...white, but barely). 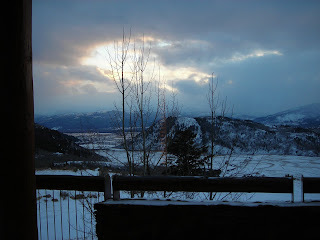 A small storm and colder temps are predicted, but much more is needed. 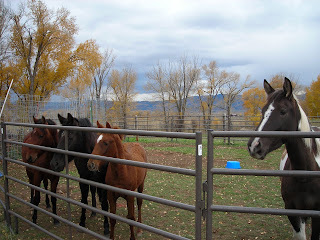 I drove south to Logan, Utah yesterday for a quick visit with my crew at the R.U. Outside store and warehouse (the new & bigger main street location is looking great). 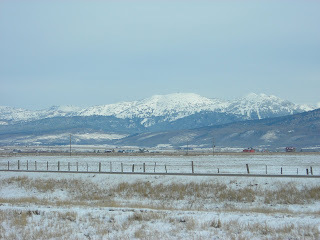 I took the Tetonia-Rexburg route, and this was the view at the northwest end of the Big Hole mountains. 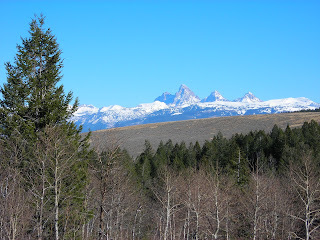 The Big Holes are the epicenter of Teton Valley snowmobiling (as well as the emerging sport of snow biking, but more on that later), with a couple hundred miles of groomed trails plus plenty of off-trail climbing and powder playgrounds. 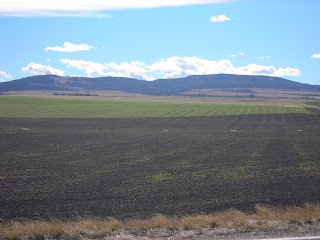 As of yesterday, there was virtually no snow, with green grass growing in the fields. 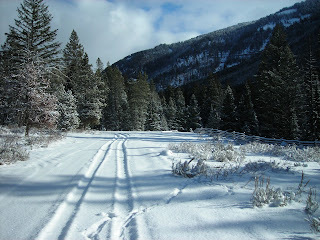 It makes for nice driving conditions, but no winter fun...and we're ready for some winter fun around here. 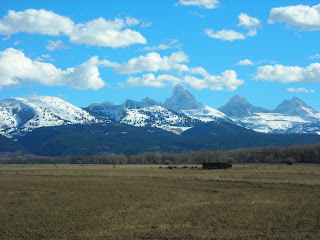 Snow or not, Teton Valley scenery is always sublime. 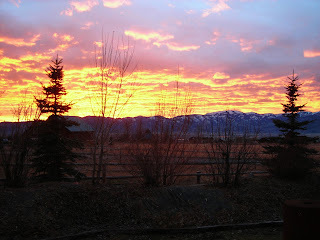 Sometimes (often, really) the sights are almost spiritual, as with the sunset this past Sunday evening. Definitely a worthy interruption of dinner and football. 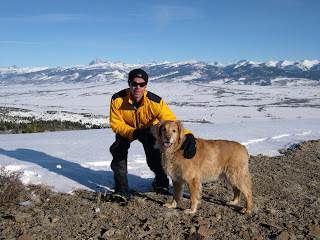 I'm not complaining, but it's starting to feel like a long time since we had winter around Driggs. Typically, we have only four snow-free months: June through September (and even then get random June and September accumulations). This year is turning that upside down, as select trails have been snow-free since April. 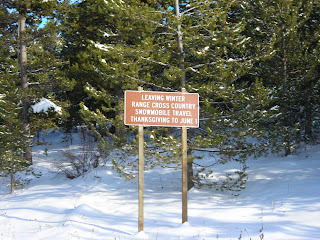 It's now November, going on eight months since skis, snow bikes and snowmobiles ruled the day. 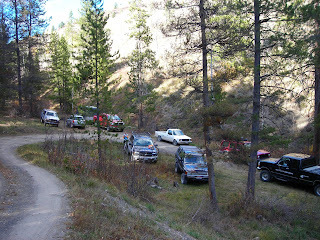 The old timers will tell you this is nothing short of crazy, and it's not helping the elk hunting. But, why fight it. 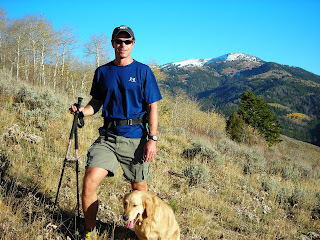 After setting the clocks back last night, Joanne and I awoke feeling rested and ready for a shoulder season adventure. Crisp fifty-degree sunshine beckoned. 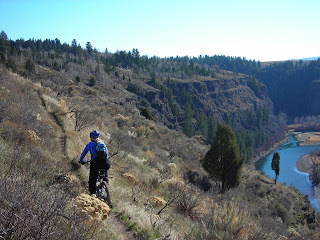 There's a little-known singletrack trail nearby that is ideal for spring and fall dirt bike, mountain bike or horseback rides. It's at a slightly lower elevation and has good sun exposure, drying out earlier and staying dry later than any other Teton Valley trails. 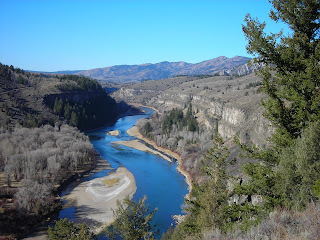 Most of it also overlooks the South Fork of the Snake River, making the scenery positively stunning. 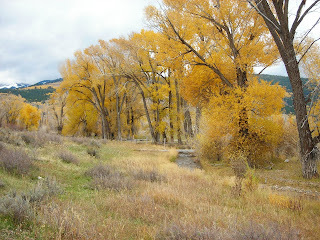 Just be sure to stop before looking around, or you'll end up in the river 800 feet below with the fly-fishing driftboats. It was the perfect pre-Colts/Patriots game ride. 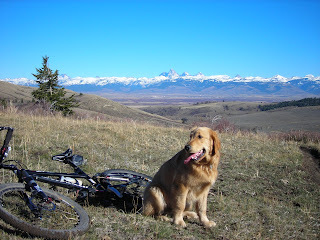 Twelve miles of out-and-back mountain biking, just over two hours, with a couple thousand feet of climbing. 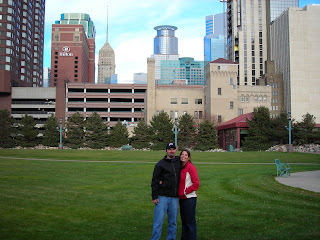 Several mandatory stops were necessary to wipe the grins from our faces, giddy at being out like this in November. 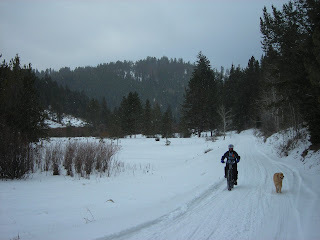 We encountered two very cool dirt bikers, and otherwise the day was ours. To have an outing like that, return to watch the sunset from your own porch and sleep in your own bed...this is why we live in Driggs.